Four years ago I was scoffing at my television, watching the championship World Cup game between Spain and the Netherlands. For most of the match neither side scored a single goal. Both teams played defensively, which is code for “boring as hell.” I had nothing at stake other than an inherited pair of soccer training pants with a Flag of the Kingdom of the Netherlands on the side and a hole in the crotch. So I rooted for the Dutch. This was the only match that I followed from beginning to end. I complained the entire time. During halftime I googled the difference between the Netherlands, the Dutch, and Holland. I even got passionately upset when Spain won. Then I finished my beer and didn’t think about futbol again until FIFA set up camp in Brazil. Like many Americans in the summer of 2014, I hopped on the bandwagon and screamed at my TV in the name of red, white, and blue. I whipped a cheap USA flag around in the air like a proud banner carrier. I developed opinions and learned the names of players (Zusi usually being cheered on by our shared first name). I became a willing stereotype, a participant in the cultural surge of soccer’s popularity in the US. I drank the Kool-Aid. I drank it up. What else was I supposed to do? Watch baseball? There’s months of that ahead. The World Cup is now, here, everywhere. As of this writing, the US is knocked out of the World Cup and I’m still watching. Today, Brazil plays the Netherlands for third place—which to me, as an American, is a ridiculous concept. Like Ricky Bobby says, “If you’re not first, you’re last.” Why would two losers want to play for a slightly less-loser position? Both teams are reeling from embarrassing defeats, but Brazil takes the cake with their home turf curb stomping from the Germans. At least the Netherlands played a great series of matches only to choke in a penalty shoot-out; which, I will point out again as a Citizen of the United States of America, is a terrible way for a game to be won. So what do we conclude but this 3rd place bout is a way to save face for both teams? What kind of game allows for this sentiment to breed? Soccer does, because soccer is more about losing than it is about winning. And losing is why soccer works. Since the USA is always #1 we should start with US. Let’s look at our badass chant, “I believe that we will win.” That’s some American optimism at its best, especially considering our own head coach Jurgen Klinsmann has said from the beginning that the US winning the World Cup was unrealistic. Here we see the old dynamic between cold pragmatism and undying belief. Klinsmann understands that losing is the norm. US sports fans know the power of heart. Realism develops strategy. Hope cultivates passion. If the US is ever to win the World Cup we could sober up with a little engineering. Game one versus Ghana was the American cream dream, opening in the first minute with a huge goal and closing with a surprising headshot from a sub fresh off the bench. It seemed as if our new chant was doing its job. In the second game we had a late rally against Portugal and a victory in the bag, only to stumble into a draw in the last few seconds. We all knew we should have won it, but perhaps we didn’t believe hard enough. When we faced the (possible champion) German team next, we managed to stay afloat but never eked out a goal with only one attempt. Still, through Ghana’s loss to Portugal and a healthy goal deficit, we managed to move on to the knockout stage. Nobody had a problem with the 1-1-1 record because it still felt like the US was winning. But really, we were getting used to losing. By the time we faced Belgium, the US team barely showed up. It was only after a late goal in extra time that the chant took hold again. 2-0 turned to 2-1. Not A Spoiler Alert: We didn’t win. And he is. But Tim Howard still lost. The two goals he missed are what allowed Belgium to win and send America packing. We can’t expect that we can switch the “W” we wanted for a little Hero Worship and get away with it! I’m merely pointing out how the US got better at losing with this World Cup. So why would we need to get better at losing? The answer is simple, cliché, and a reality: the world is getting smaller. 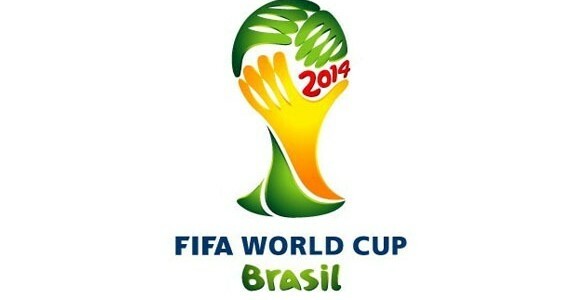 Out of 32 teams at the 2014 World Cup, only one will return to their home country with the coveted prize. 31 countries take whatever nationalistic pride they can muster. The rest of the world didn’t even get to play. And now, it seems, America is a little more willing to put some skin into the global game. Our economies are interlinked. You can Skype across oceans and read Tweets over continents. I can order decent Thai food in Kansas. Google Earth the Earth, man. This is all we have and we have the entire thing. I understand that I’ve tossed around the term “losing” in this post with little regard. The American way of life doesn’t like the idea of it. Yet, if you look at it as the way that soccer does—at least on the World Cup scale—you can see that it is about the passion of play and the humility of competition. Wins, conquest, and victory are the exception. Sometimes you are the one holding the trophy; most often you are the one wanting the trophy. In our times of economic disparity and social injustice, perhaps we could use a little more empathy for the “losing” side rather than deluding ourselves into thinking we are the champions of reality. All it takes is an honest look at the game being played and the belief that it can change for the better. Over the past month, the game of soccer has allowed me to see this.